A handful of notable companies have gotten their start in Bulverde/Spring Branch or have chosen to relocate here. With a business-friendly environment, a highly educated workforce, a unique quality of life and lots of room to grow, all within 20 miles of the San Antonio International Airport, Bulverde/Spring Branch is an ideal strategic location for your office or corporate campus. Major industries in Bulverde/Spring Branch include communications, technology, financial services, engineering, construction, healthcare, education, retail and many small businesses, which are the backbone of any economy. These companies are high quality, high wage, non-water intensive companies—technology, green business, retail and services, etc.—and have a great passion and respect for our community and the Texas Hill Country. They are great community partners. Local headquarter-based, GVTC Communications, one of the area’s largest primary employers, is an award winning leader in fiber communications. In fact, a unique public-private partnership was formed between GVTC Communications and the cities of Bulverde, Boerne and Gonzales, known as the GVTC GigaRegion®, to promote this fiber network and help drive economic development in the region. The City of Bulverde is a “fiber complete city” and the surrounding unincorporated area as well as the City of Spring Branch also enjoy a robust fiber network. GVTC was recently recognized as “Top Operator of the Year” by CableFax the Magazine, a “Top 100 Fiber to the Home Provider” by Broadband Properties Magazine for the last decade and a “Top Work Place” by the San Antonio Express-News for the last six years. Congratulations to GVTC President & CEO, Ritchie Sorrells for being named as a San Antonio Business Journal 2017 C-Suite Award winner. Mr. Sorrells is one of nine San Antonio area CEO’s to be named for the honor. The recipients are selected for their leadership, vision, team building, integrity, along with other characteristics, and accomplishments identified through their nomination form. For more information about GVTC, please visit their website at https://gvtc.com. M & S Engineering is a full-service engineering firm based in Spring Branch. M&S employs more than 90 professionals who are adept in the areas of civil, electrical, and subsurface utility engineering, surveying, and hydrology. M&S Engineering is proud to have been selected by their employees and recognized by the San Antonio Express-News as a Top Workplace for 2017. This year’s award marks the fourth consecutive year M&S Engineering has been recognized. For more information about M & S Engineering, please visit their website at https://www.msengr.com. For over 35 years, Futurex has been a globally recognized provider of hardened, enterprise-class data security solutions . Over 15,000 customers worldwide have trusted Futurex’s innovative Hardened Enterprise Security Platform and the VirtuCrypt Hardened Enterprise Security Cloud to provide market-leading solutions for the secure encryption, storage, transmission, and certification of sensitive data. Based in Bulverde, Futurex has been named one of San Antonio’s “Best Places to Work” by the San Antonio Business Journal for eight consecutive years, made Cybersecurity Ventures’ list of the top 500 Hot Companies to Watch, and is ranked among The Silicon Review Magazine’s top 20 fastest growing data security companies of 2015. Futurex ‘s global headquarters are based in Bulverde with offices in Mumbai, India and Mexico City, Mexico. For more information about Futurex, please visit their website at https://www.futurex.com. Bulverde/Spring Branch is also home to AirTronic USA, a highly innovative international leader in electro-mechanical engineering design and manufacturing of superior weapons systems. They offer multiple global defense products to the U.S. Department of Defense, allied foreign militaries, and law enforcement. Because of their extensive Special Operations experience, and decades of proven manufacturing and business proficiency they have earned the trust of the U.S. Military and are widely regarded as the industry standard for safety, reliability, and quality. In 2015 AirTronic USA relocated to Bulverde/Spring Branch from Elk Grove, Illinois (just outside of Chicago) because our centralized location facilitates more efficient and effective interaction with strategic partners and customers in the region and on either U.S. coast. AirTronic USA, through its foreign distribution channels, operates in North America, Europe and the Middle East/North Africa. For more information about AirTronic USA, please visit their website at http://www.airtronic-usa.com. The Centre for Emergency Health Sciences is the center for multi-discipline continuing education, specialized medical workshops, AHA & DSHS certification, and research opportunities. The Centre serves medical corporations and professionals from across the United States as well as numerous governmental agencies. The first training for robotic-arm surgery in the area happened at the Centre. This credentialed extension campus was created by our award winning Emergency Services District by partnering with UT Health Science Center San Antonio, USC University of Southern California, Acacia Medical Mission and Our Lady of the Lake University. In addition to the educational component, the partnership with Acacia Medical Mission also assists the medically uninsured/underinsured of Comal/Blanco Counties with health screenings and health care. For more information about the Centre for Emergency Health Sciences, please visit their website at https://www.bsbcehs.com. Coldchain Technology Services, located in Spring Branch, Texas, was founded in 2006 and is a Service Disabled Veteran Owned Small Business focused on providing cold chain management solutions for the storage and distribution of time temperature sensitive products. CTS has extensive experience helping develop shipping systems, supply of thermal shippers, development of shipping protocols, managing drugs, supplies, and emergency asset materials. CTS’s founder and owner was the Associate Director of Logistics for the Centers for Disease and Control and Prevention’s Strategic National Stockpile (SNS) from inception throughout its rapid post 9/11 ramp-up and continues to provide Subject Matter Expertise to the program. 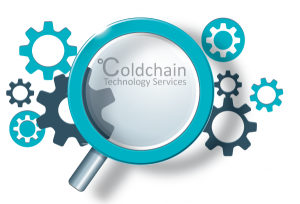 For more information about Coldchain Technology Services, please visit their website at http://www.coldchain.tech.com. Founded in 1982, ECS Learning Systems is an educational publishing company with national market reach. Their company mission has been to create quality, innovative K-12 resources that make teaching easier. As a leading publisher of state-specific test-prep materials, ECS is pioneering the concept of Integrated Test Prep through their TestSMART® and STAAR MASTER® series. ECS has also compiled the best resources available for Spanish/English and Special Education teachers and students. ECS Learning Systems, Inc. acquired Novel Units in July 1998 and relocated the business to Bulverde, Texas. From the beginning, the company mission has been to help teachers build a quality literature program that fosters love of literature. They publish the largest selection of literature guides available anywhere. With more than 1,300 guides for more than 700 novel titles. In 2014, ECS Learning Systems was honored by the Small Business Development Center (SBDC) at UTSA as a Small Business Leader in the areas of job retention and business development. 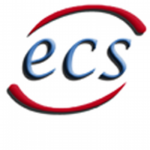 For more information about ECS Learning Systems, please visit their website at http://ecslearningsystems.com. For more information about Lumerit Education, please visit their website at https://lumerit.com. Headquartered in Bulverde, Geosource is an erosion control contractor specializing in biomass, land restoration and re-vegetation. Geosource is a leader in land re-vegetation and reclamation. The Texas Department of Transportation (TxDOT), the US Army Corps of Engineers, the Railroad Commission of Texas, and cities and counties depend on Geosource to get the job done. For more information about Geosource, please visit their website at http://geosourceinc.com. Based in Bulverde since 1972, Stoddard Construction Management Inc. (SCMI) has been serving the great state of Texas for over four decades and three generations offering a variety of services and all construction trades. Stoddard maintains the highest standards of quality and safety on all it’s job sites. Stoddard is responsible for a number of high profile projects, from arenas and processing plants to high-rise buildings and shopping centers. For more information about Stoddard Construction Management, including their vast portfolio, visit their website at http://www.stoddardcmi.com. Headquatered in Bulverde/Spring Branch and founded by Tom Williams in 1996, Aerohead Mechanical has grown into a major mechanical/plumbing firm in the South Texas construction industry. Their company was built from the ground up with steady growth and quality leadership committed to reinvesting in the company. Aerohead is the right choice to provide the services and support you would expect from a top tier contractor. For more information about Aerohead Mechanical, please visit their website at http://aeroheadmechanical.com. A & E Air Conditioning & Heating, a leader in the HVAC industry, also recently relocated its corporate headquarters to Bulverde. Founded in 1997, A & E is dedicated to providing the highest level of customer service. They have built their reputation on putting their customers first, providing quality service without overcharging. Based in Bulverde with offices in San Antonio, Buda, and New Braunfels. 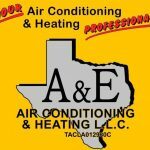 For more information about A & E Air Conditioning & Heating, please visit their website at http://ae4cool.com. 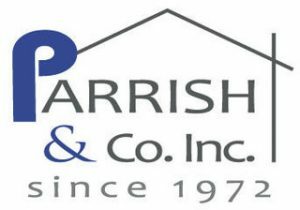 As a second generation family owned and operated business, Parrish & Company has served Texas as a leading resource for fine home products and exceptional customer service for 45 years. Showrooms include appliances, cabinetry, countertops, fireplaces, garage doors, windows, outdoor kitchens, and more – all produced by leading manufacturers. Parrish & Company proudly offers products from fine manufacturers such as Heat&Glo Fireplaces, Woodmont Cabinetry, Clopay Garage Doors, GE Appliances, Milgard Windows, and many others. For more information about Parrish & Company, please visit their website at http://www.parrishandcompany.com. 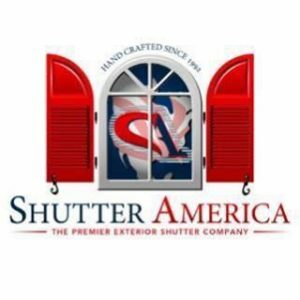 Headquartered in Bulverde, Shutter America, a family-owned and operated business, is America’s foremost in handcrafted wood shutters, doors and gates since 1992. For more information about Shutter America, please visit their website at https://texasexteriorshutters.com. We also have a large financial services presence due to the wealth that exists within our community. Although we do not have a financial institution headquartered here, we do have an enormous array of branch offices and related financial industries that are located here or just outside our boundaries who have a significant local client base and an incredible involvement in our community. Those financial institutions with a presence include Randolph-Brooks Federal Credit Union, Sonora Bank, Frost Bank, Broadway Bank, Security Service Federal Credit Union, Amegy Bank, Sage Capital Bank, Wells Fargo, Security State Bank & Trust, Texas Regional Bank, and First United Bank.